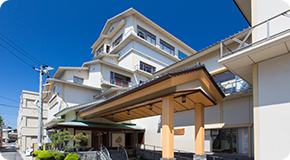 Starting with the ocean view from 27 m above ground from the hotsprings of Kaike, there are 19 high-quality rooms, a spa salon, rock bath, karaoke, and many more facilities. Our facilities can be enjoyed by adults and also entire families together. A variety of rooms to fit your preference. A blissful experience that will massage your soul. 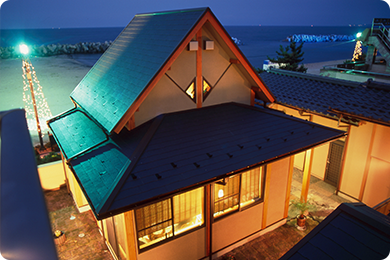 Behind a 12 tatami mat Japanese room are two open-air baths with hotspring water drawn. There is also a separate bathroom with shower. 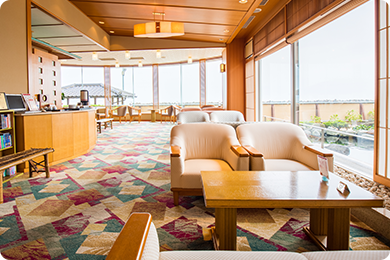 *First floor guests will not be able to find an ocean view from their guestrooms. A wonderful view of the ocean can be enjoyed during a dip in the open-air bath. 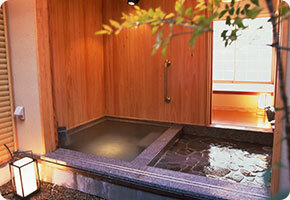 There is also a bath module to clean yourself separate from the open-air bath. These rooms are available from the second floor and up. This is a corner room with an open-air bath plus shower, allowing a panoramic view of the ocean. Relax and enjoy your open-air bath as you look out into the sea. 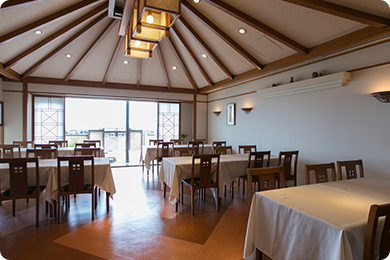 A spacious Japanese room with a luxurious massage chair placed at the eaves of the room. A simple and calming room. *Double size bed (140 cm wide) for Single Rooms. 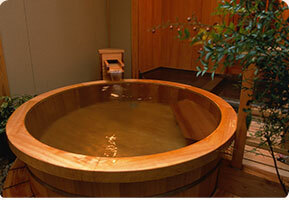 There is a foot bath using hotspring water as well as an open-air bath. 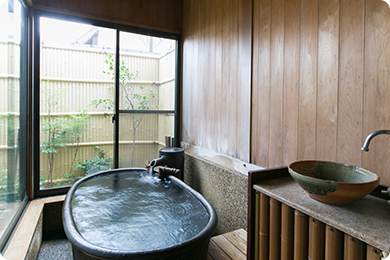 There is a ceramic indoor bath facing the garden and also a Japanese room with a twin bedroom. The open-air bath is placed in the garden where you can also go directly out to the beach. * The Cabana-Room has easy access to the beach and pool through the special garden. This format is quite popular in Hawaii and Guam. Blessings of San'in that are fresh and in season. 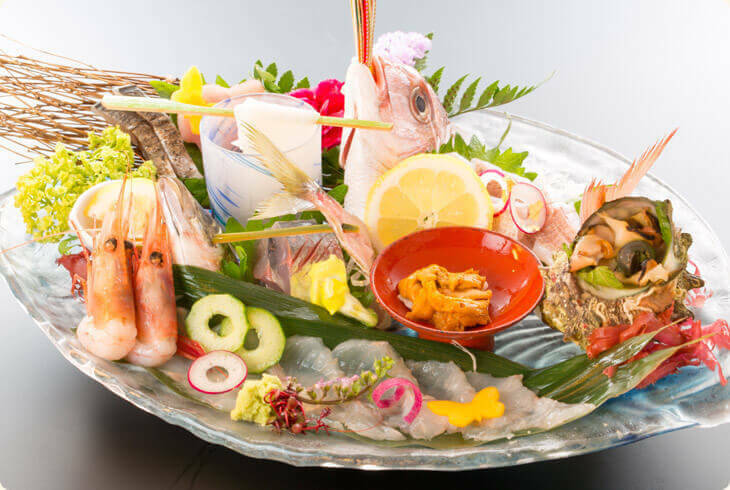 You will smack your lips at the ingredients of the four seasons. 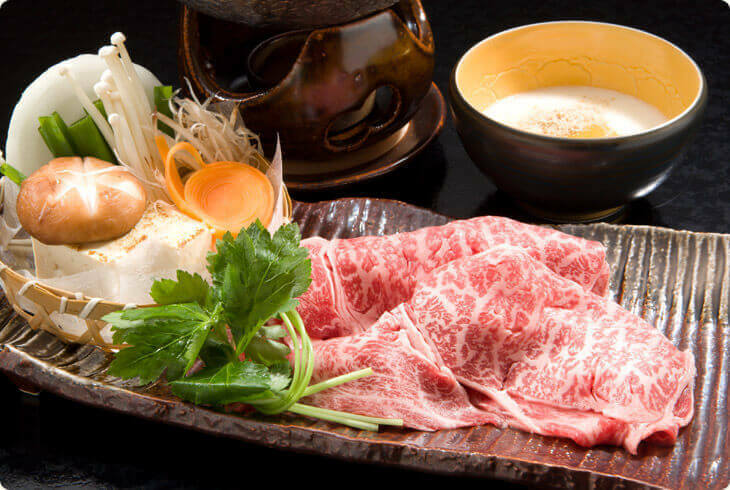 The Tottori Wagyu beef will simply melt in your mouth. 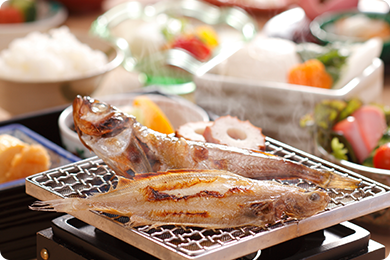 Freshly prepared naturally and maintaining its texture. 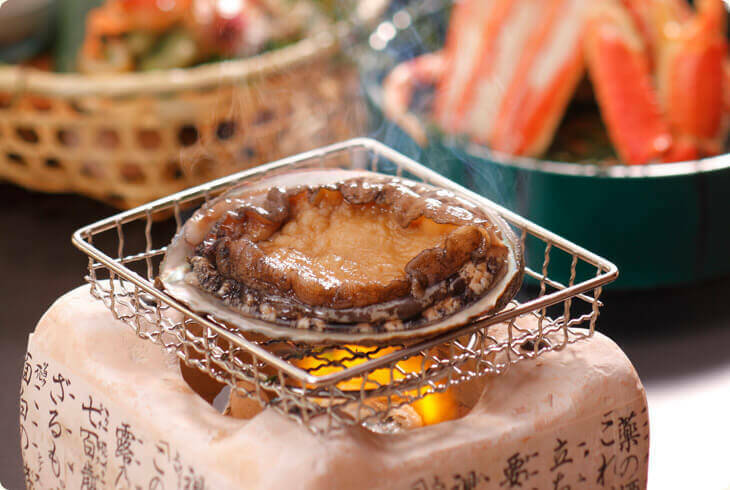 The abalone has the fragrance of the sea with its crisp texture, which makes it second to none. 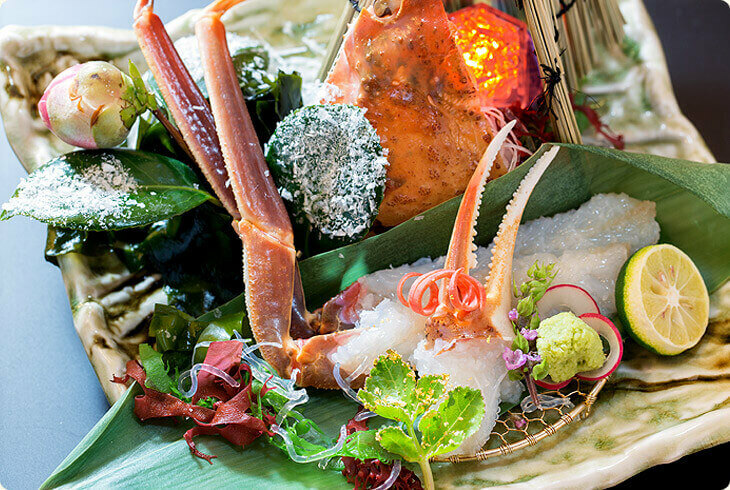 Starting around November, snow crab will be in season and available. 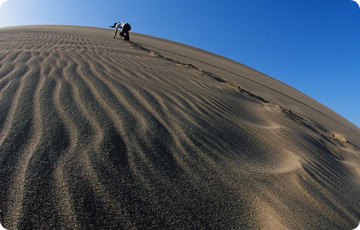 There are ingredients from the mountain and sea. Please enjoy all the tastes of San'in. Hear the sounds of the waves and wonderful view as you take a dip in the hotspring that will heal your body and mind. 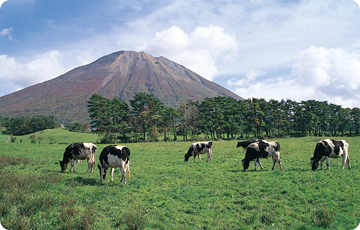 Please enjoy the panoramic view overlooking the Sea of Japan and Shuho Daisen. 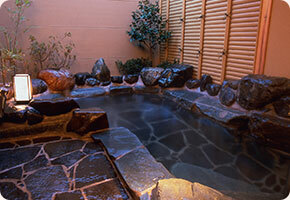 Hear the soft rumbling waves as you dip into the open-air bath to unwind yourself from routine fatigue. 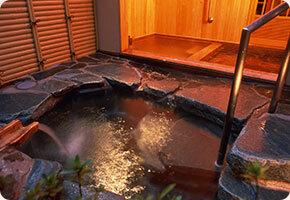 The hotspring of Kaike Onsen is of the saltwater variety and is said to be soothing and good for your health. 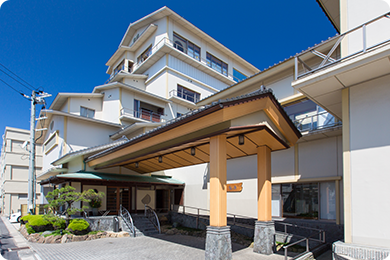 Guide to the Reservations-onlyPrivate Open-air bath "Shiosai-no-koroten"
The Kaike Onsen Beach is close by with many adjoining facilities. Please enjoy them to your heart's content. 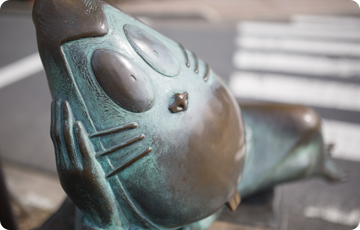 We would like to present three recommended tourist spots to our guests. Approx. 1 hr 37 min away. and about 90 minutes from Seoul Airport (Incheon International Airport). 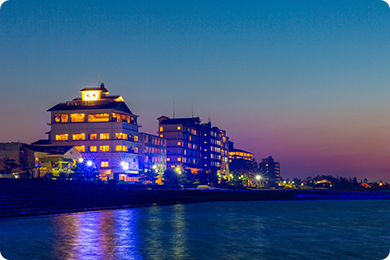 We have free shuttle bus service to and from the Yonago-shi Tourism Center. so we cannot make arrangements between the bus company and the Inn Co-op. 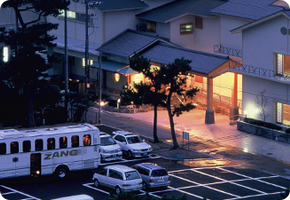 There will be a public bus from the Yonago Station heading "To Kaike Onsen" every 20 minutes. Copyright © 2019 Shogetsu. All Rights Reserved.